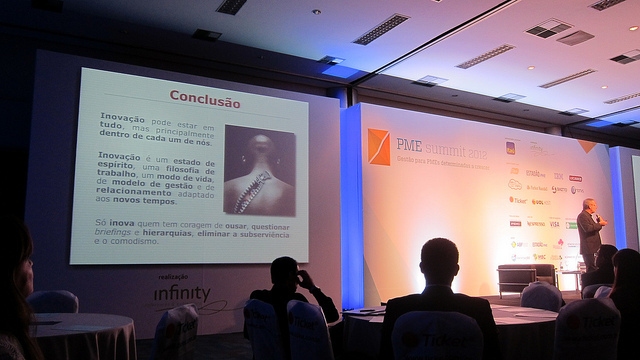 I have been lucky enough to have been able to attend the PME Summit 2012 (Small and Medium Enterprise) these last two days in São Paulo. 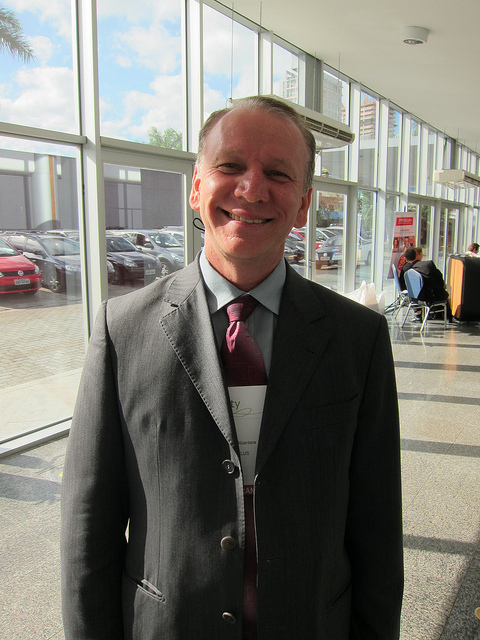 The vision for the event came from Marcos Piccini from Korn/Ferry Consulting and the event was created and run by Infinity Conferences and Exhibitions. This was an extremely important event for Brazil, which at present is still a country hostile to small businesses, entrepreneurs and investors due to corruption, insane bureaucracy, high taxes and a culture of low trust and low self-esteem. This event was choc full of inspiring speakers with great advice for would-be entrepreneurs and small businesses looking to expand. 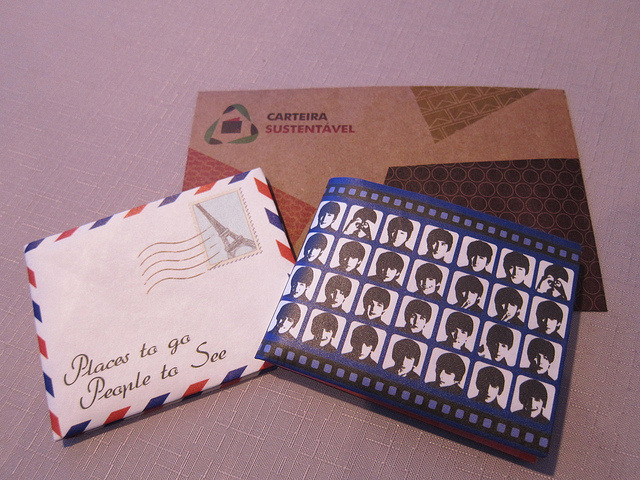 I saw many creative ideas presented, many relating to sustainability. There were TED panels and networking and wold-cafe group exercises covering future business, strategies for sustainability, investment funding and seed capital, leadership and complexity, innovation, cloud computing, organisational cultures and values, active learning and inspirational leadership. 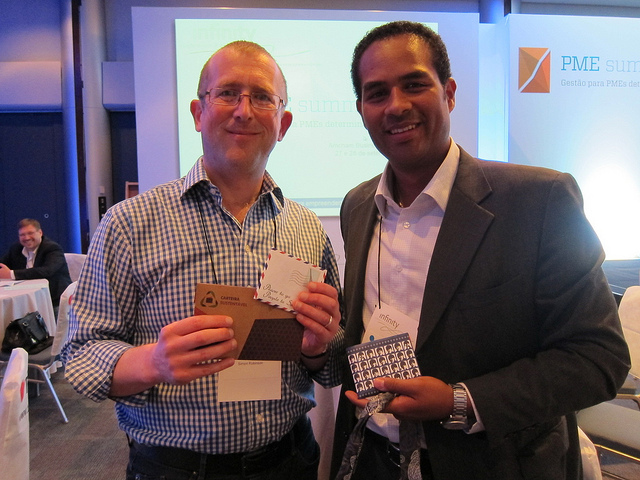 I had a good talk with Edgard Leite of Arbox, a company who create sustainable customisable products for companies. At the end of their life customers can send the products back and receive a discount, an excellent example of Cradle to Cradle design thinking. 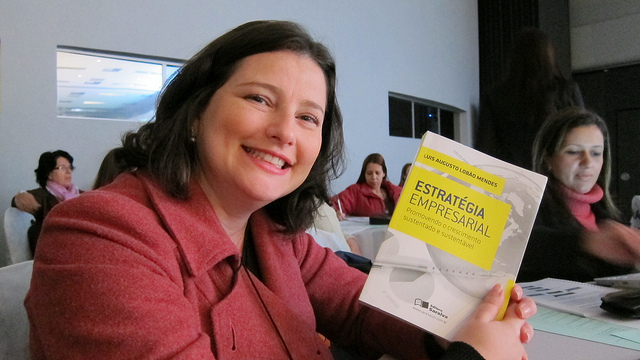 Maria came with me on the first day and was happy to win the book Estratégia Empresarial (Company Strategy) by Prof. Luis Augusto Lobão Mendes who spoke on the first day about sustainability and strategy. I was there on my own today, and met many more of the presenters, whose lectures I could more or less follow by reading their slides, and doing some live translation on Google with my iPad for the vocab I was not familiar with. 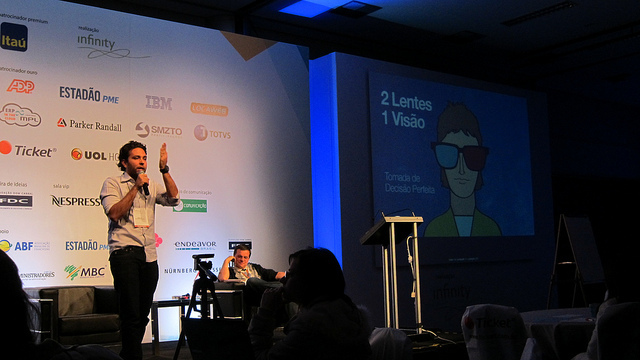 It was a little frustrating as I know I missed many nuances and details in various presentations, but I feel that my Portuguese is improving to the point where I now try and speak Portuguese and do not ask that the other person speak in English. 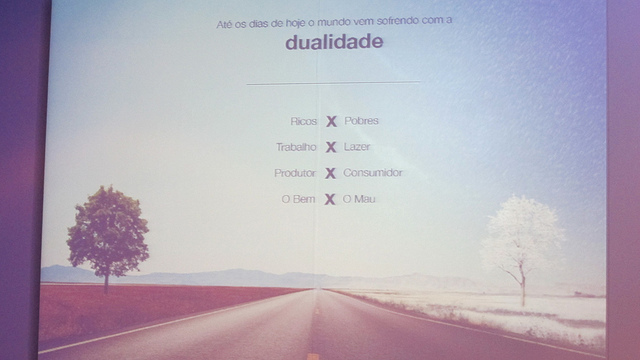 I spoke about the creative culture of Gore Associates in a world cafe, and also had a few conversations with participants and presenters in Portuguese too. I still have a long way to go to improve, but I think that Brazilians realise just how tough their language is and really are incredibly forgiving, especially as there are so many different tenses to learn when mastering their verbs. In the world cafe I am sure I heard a lady from one table use the term “authentic whole” in relation to what the solution was in the session on creativity and finding solutions to attract and retain talent. 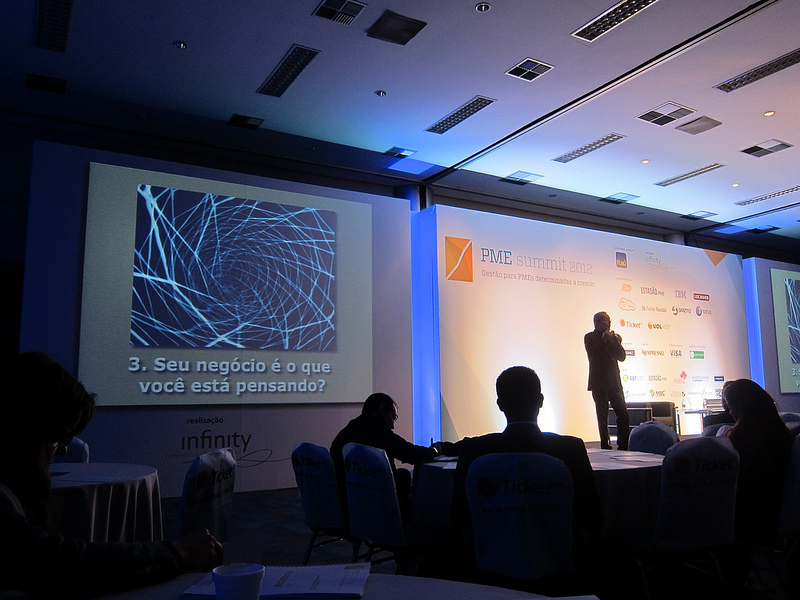 I have recently written about authentic and counterfeit wholes in São Paulo, but I did not manage to speak to her after the event to discover the passage from the book “BusinessArte” from which she read. 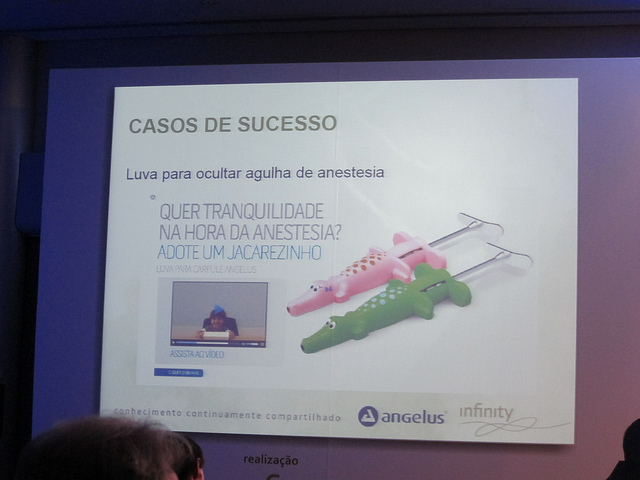 As someone who has to visit the dentist regularly I loved Roberto Alcântara’s case study from his Dental manufacturing company Angelus. They have created cases for syringes to help reduce the fear in children who need an anaesthetic. One of those why-didn’t-someone-think-of-that-a-long-time-ago products. The day ended today with two highlights. 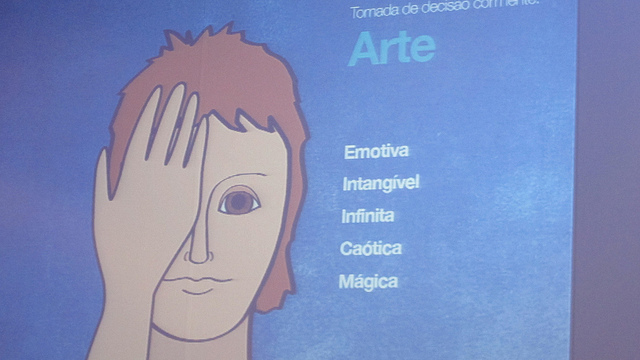 Walter Cavalcante gave a super-charged presentation on what he calls BusinessArte, creative solutions in business which mix both business and art. Overall this was a wonderful event to attend. 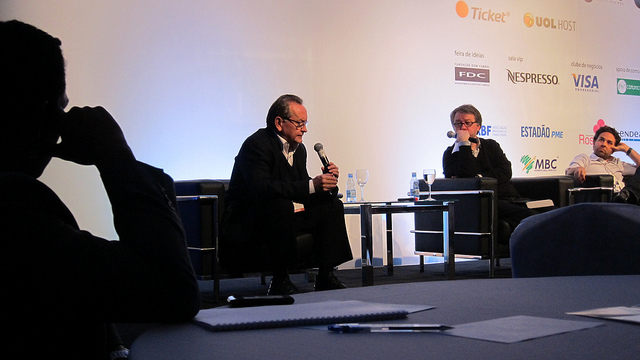 I had many interesting short conversations with a number of other attendees, presenters and investors, and it was interesting to hear them say that there is more investment money in Brazil than there are good ideas to invest in. This the legacy of a Brazil which is still coming to terms with its recent history of a brutal dictatorship, and in fact I would say of its colonial past based on exploitation of resources as opposed to cultural, communal, scientific, philosophical and spiritual development. The feeling also was that young entrepreneurs will no longer tolerate systemic corruption, and as more Brazilians are able to travel, and as more foreigners come to Brazil to work and invest, perhaps the old Brazil will finally give way to the Brazil of order, progress, happiness and love. This is the Brazil I want to see prosper, and so it is to Marcos and Infinity’s credit that they were able to create such a strong and inspiring event. Oi Simon, que bacana! Muito obrigado por compartilhar mais esta experiência legal e importante. Creio que somente através da união de bons esforços, conseguiremos mobilizar a grande revolução que nosso mundo tanto necessita, seja para sermos mais sustentáveis, ou mais humanos. Simon, what a wonderful summary of our event!! I’m delighted!! Thank you for attending and you sure did capture our goals with this event. By the way, I was really (no, REALLY) impressed with you discussing in Portuguese with your team in that active learning about talents!! I can only reinforce Daniela´s words. Thanks for this wonderful summary, and for attending our event. We hope this initiative can stimulate SMEs to get even more energy and willingness to build a better world! Hope the seeds will flurish! Again, thanks for your brilliant text and your kindness.